Our Amish handcrafted toy chests feature pinch free front panels. 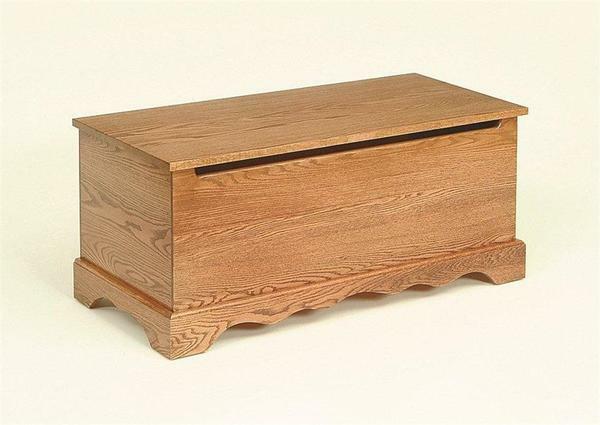 This Oak Wood toy chests has a counterbalanced lid supports which is approved by the Consumer Product Safety Commission. This will prevent accidental falling of the toy chest lid and pinching of little and big fingers.